As Workday continues to grow, we felt it was important to share that our CIO Diana McKenzie has decided to pursue some long-time personal passions and will be departing Workday in April. While we are happy she’ll have more time to spend on new endeavors such as her appointment to the MetLife Board of Directors and her favorite hobbies—riding her motorcycle and scuba diving—it’s bittersweet to see her go given all that she’s brought to Workday on the culture and technology fronts. Since joining Workday just over three years ago as the company’s first-ever CIO, Diana has worked tirelessly to help create a best-in-class organization that has played a fundamental role in helping Workday scale its business and operations. She has been a wonderful Workday representative and instrumental in expanding our customer CIO community. We thank her for the tremendous efforts and contributions, and wish her the best in this next stage of her journey. As we look to the future, we are excited to share that Sheri Rhodes will join the Workday family as our new CIO. Sheri will be moving back to the Bay Area from Denver, and starting April 22. Sheri’s day-to-day responsibilities will span Workday on Workday (WoW), Go-to-Market applications, and all other enterprise-wide IT systems. 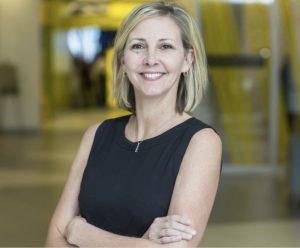 Sheri has more than 25 years of technology leadership experience, most recently as Chief Technology Officer at Western Union where she defined and led the company’s technology vision and digital transformation efforts. Prior to Western Union, Sheri served as CIO at EFI, and before that she held leadership positions at Symantec, Visa, and other organizations. Sheri will build on our technology foundation and help elevate the way we work to further help customers achieve their goals. We are looking forward to working with and learning from Sheri and—given her expertise and experience—are excited for her to represent Workday products and technology. Welcome to the team, Sheri! Every employer has a responsibility to support the wellbeing of the whole employee, including recognizing mental health needs, supporting their physical and nutritional health in fun and engaging ways, reducing stress, increasing joy, and much more.